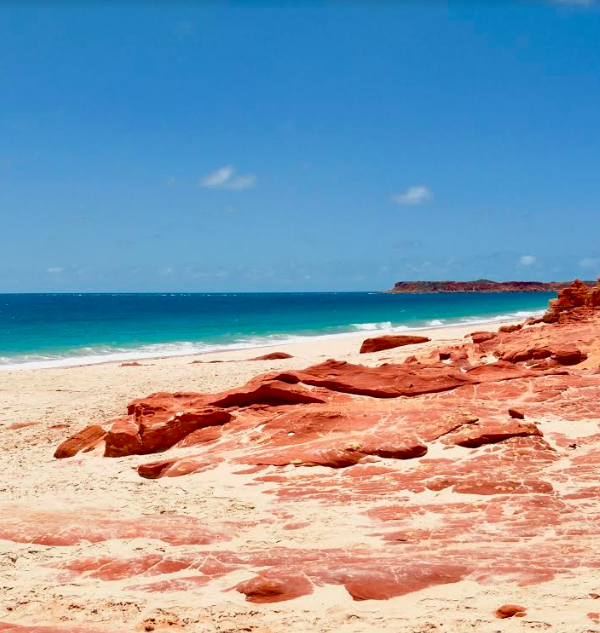 The Dampier Peninsula isn't the easiest place to get to in Australia but is one that should be on the bucket list for every caravan or motorhome owner. There is a whole lot to learn about Aboriginal history and the scenery is often described as heaven on earth. Everything in life worth anything is often a challenge, that's why The Dampier Peninsula should be on your bucket list. 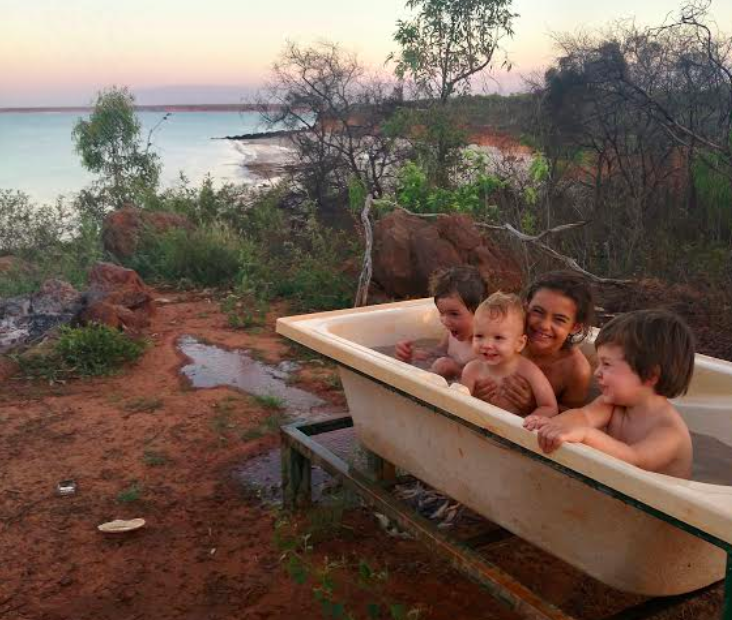 A family who goes by the name of Chaos in a Tin Can gave us the inside scoop on what to do with a caravan on the Dampier Peninsula. 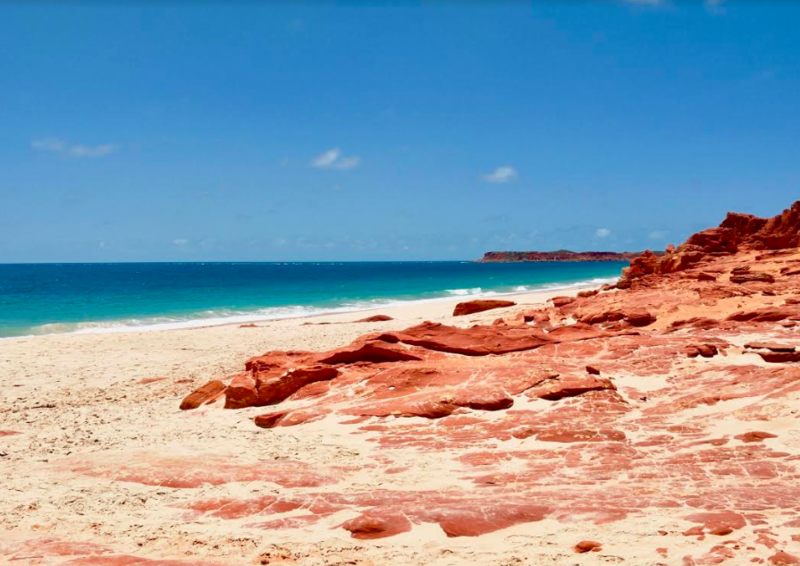 The Dampier Peninsula offers the reddest rocks you have ever seen, dark turquoise waters and some say that if you really listen at night you can hear the whales singing. That in itself is enough to get you and your caravan up there but it’s also home to a number of Aboriginal communities so a great place to learn a bit of history. 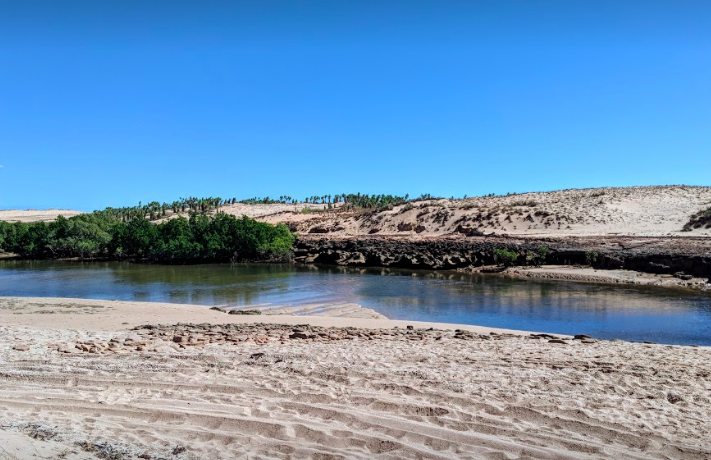 With the Dampier Peninsula being so remote it also allows for a rather relaxing time in your caravan with plenty to see and do. The landscape here is so unique it is truly breathtaking, and we know that gets said a lot, but we talked to a number of caravan owners who had recently visited the Dampier Peninsula and each of them used those word to describe it. You don’t see rocks this red every day. There are plenty of activities to do and it caters to a variety of different holiday needs. There are plenty of fantastic fishing locations, a few safe swimming spots to cool off as well as a few amazing pearl farms to visit. The most common time of year to visit is between May and October (dry season) as well as being a bit cooler. If you want to have a bath out in the open above a cliff with a chance of seeing whales then Pender Bay Escape camp might be the one for you. You can’t have that experience every day but you can if you are caravanning around Australia. Andrew the host is very well regarded in the caravanning community for his knowledge of the area. You are also allowed campfires and make sure you say hi to Smokey the resident camp site dog. This is a fantastic camping and caravan spot and is worth a visit for at least a few days. The Gumbanan Bush camp has excellent flushing toilets and good drinking water. There is plenty of shade which is a real necessity and just make sure you take a bit of time finding a great spot for your caravan. The views are to die for and Squeaky Beach is a must visit and even better on a rising tide. We are told there are no resident crocs but double check to make sure 🙂 . The Middle Lagoon is another excellent place to stay but can be quite hard to get to. It’s all worth it when you are there though. The water is marvellous and safe for a swim. Very few people are at the camp and the remoteness gives you a real sense of what natural beauty really is. Awesome caravan spots and the freedom to choose where to park up. You can camp right on the towering beach cliffs and watch as the whales idle past. Middle Lagoon offers some awesome camping spots. We loving seeing their adventures unfold and are sure that their trip is inspiring other young Australian families to give travelling Australia a go. It’s great to see a family get out and enjoy the adventure in their caravan. If you have somewhere that should be on peoples bucket list get in touch. Great article Louis, thanks for sharing this, I am putting this place on my bucket list for sure. Has anybody else reading this been there?? Would love to hear others thoughts too. We just left there a few weeks ago. Beautiful beaches, indigenous tours and some great free camps up that way too! I would not do a special trip over there for it (as all of the west coast is beautiful) but if your up that way definitely leave a week to explore the Dampier Peninsula.